Nymi wristband uses heartbeat patterns to identify a person. It can thus authenticate the authorized users. Passwords are fast becoming things of past. Is there a unique pattern in every person’s heartbeat? Can this heartbeat pattern be used as a password to indentify a person? Bionym, a technology startup based in Toronto, Canada, has come up with a new idea on how electronic devices may recognize an authenticated user. 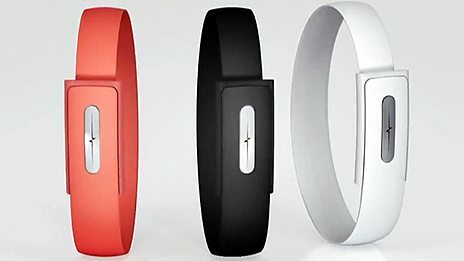 The company has developed a wristband that can confirm wearer’s identity by recognizing patterns in user’s heartbeat. Once the pattern is recognized and a decision on authentication is made –the decision is conveyed to other devices like, smartphones, tablets, laptops, cars etc. The wristband device, named Nymi, works on the basis of the fact that every person has a unique heartbeat pattern. The difference in pattern arises due to difference in position, shape and size of the heart. Nymi records an electrocardiogram (ECG) of the wearer and match the peaks and troughs in ECG with the device owner’s ECG that is saved in its memory. If there is a match, Nymi conveys positive authentication to other devices. When the owner wears Nymi for the first time –it records and keeps the heartbeat pattern in memory. Then Nymi needs to be registered with the devices that the owner wishes to unlock using Nymi. The wristband device will not record another ECG until the device is taken off. Nymi will stop working once it has been taken off –and when it will be put on wrist again –it will again record and ECG to match with the one that is in its memory. This way it counters the problem of loss or theft of the device. Using heartbeat patterns to identify a user is relatively new technique and it is aimed at doing away with password and even fingerprint, face or iris recognition. Pls quote me the price of this band.